"Abbott Cummings, South Deerfield, 94, of Hillside Road died Monday (5/29/2017) in Elaine Center in Hadley. Arrangements under direction with the Wrisley Funeral Home, South Deerfield." HADLEY - Abbott Lowell Cummings, the leading authority of 17th and early 18th century ("First Period") architecture in the American northeast and author of The Framed Houses of Massachusetts (Harvard Univ. Press, 1979) died early May 29 at age 94 at The Elaine Center, Hadley, Massachusetts. An outstanding teacher at Boston University, Yale University and U. Mass Amherst mentoring dozens of young scholars, he asked me many years ago to memorialize his life and scholarship when the time came. Born in St. Albans, Vermont on March 14, 1923, the son of a Congregational minister and sometimes supporter of Norman Thomas, he spent much of his youth with his beloved paternal grandmother in Southington, CT. This old Yankee helped to form his love of genealogy and appreciation of New England's past. It was she, too, who gave the teenager a membership in the Society for Preservation of New England Antiquities (SPNEA). The budding art historian was educated at The Hoosac School (1936 – 1941), Oberlin College (BA 1945, MA 1946), and Ohio State (PhD 1950), then one of the few universities offering American architectural history He soon learned discretion in speaking of his research when in 1948 after Prof. Henry Russell Hitchcock published without credit Cummings' new discoveries on the design and building of the Greek Revival Ohio capitol. From 1948 – 1951 he taught at Antioch College, while finishing his critical study of the Federal era building guides of architect Asher Benjamin. Thereafter, he accepted a position as assistant curator for the American Wing of the Metropolitan Museum of Art until in 1955 he was hired as assistant director of SPNEA (now Historic New England), and editor of its journal Old-Time New England. I met Abbott Lowell Cummings in the early 1960s when I was an Oberlin sophomore in a summer program at Historic Deerfield on a fast-paced tour of Boston's buildings. Given our mutual history at Oberlin he encouraged me to seek out his old professor - Clarence Ward - and urge him to give me a class on American Architecture. It set me on my own career in architectural preservation. At Oberlin in Sept. 1946 his Master's Thesis, "Documentary Histories of Seventeenth Century Houses in Massachusetts Bay" noted that stylistic consistency over the 17th century and a time "lag" for adopting new design ideas "are confusing to the historian in his attempt to establish a system of dating for the houses of the 17th Century". He carefully sifted through the documentary evidence of 70 houses - many of them no longer standing - in the Commonwealth with detailed notes on the "condition" and plan development for those still extant. This was followed –in typical Abbott Cummings fashion - by an appendix of 10 building contracts and similar documents, and a full secondary bibliography. I mention this first attempt at his favorite topic to show how long ago his Framed Houses actually began. Over the next 34 years Abbott continued his research about what really happened to these (mostly) surviving houses and what changes in structure or style occurred. Certainly, that is what he was doing while he worked at the American Wing of the Metropolitan Museum of Art in New York from 1951-55, documenting all the rooms that George Francis Dow helped install in the 1920s. Joining the SPNEA in 1955 as assistant director and editor he was allowed one day a month for personal research to delve into not only the oldest surviving houses but documents underpinning both his Framed Houses and other books and articles on bed-hangings, probate inventories, and wallpaper. What most folks never knew, was that Abbott thought he had his masterwork nearly completed sometime in the late 1960s. He had all the documents, had been to see all the houses in the Bay Colony, and had large chunks of writing well advanced. He had also searched out some of the (virtually unstudied) English buildings of the early 17th century that might have provided prototypes for Massachusetts work. He and I spent several summer vacations trotting around England during the late 1960s and early 1970s looking at areas where "his carpenters" had come from, seeking out his famous "prototypes" - houses sharing similarity of form or construction to the earliest Mass. Bay homes. We spent several summers in the hands of Freddie Charles and his family, one summer looking at examples with Ron Brunskill and another year attending a VAF meeting and tour with all the early VAG members. His particular interests brought new attention to the 17th century timber framed vernacular that British scholars had considered one of the less interesting period of their vernacular. There, in the late 1960s he met Cecil Hewett - the secondary school art teacher with an antiquarian bent for drawing the structural joint systems of timber-framed buildings. Hewett revolutionized the dating of those English building by developing a theory about the chronology of various timber joints and how they "evolved" that eventually led him to a position with the Greater London Council Buildings Division in 1972. In what I always considered one of the clearest acts of intellectual honesty, Abbott essentially threw out his old manuscript and - getting a grant to bring the whole Hewett family over to Massachusetts for a summer– revisited all the major houses so Hewett could draw their framing details and educate Abbott about framing in this new theoretical system that linked the New World to the Old. If computers had been more advanced in the early 70s, we might also have had a chance at tree-ring dating in Framed Houses. It has always been a disappointment that his discovery of the 1590s droughts in the chimney beam of the 1660s Gedney house in Salem did not evolve as easily into the general practice of dendrochronology that we know today. He saw it clearly as a potential- but the conservatism of the New Mexico experts who claimed New England's weather was too "complacent" for measurement killed the idea for two decades and the coming of computers. His intense study area was only Massachusetts Bay Colony with its great abundance of First Period buildings - more perhaps than anywhere outside Europe. And, as he remained somewhat secretive and justifiably paranoid that someone would scoop his research, he was perfectly happy to let others explore the 17th century houses elsewhere in the state and region. Thus, in the mid-60s when Cary Carson, a young Harvard graduate student, and I were both hired to explore the 17th century architecture of Plymouth Colony for Plimoth Plantation museum, I replicated Abbott's method of looking at the documents and tried to find patterns from the surviving houses and their inventories. He published my "Documentary History" of Plimoth's early buildings in Old-Time New England. He also "gave" me my dissertation topic - the very few First Period wooden buildings of Southern Maine & NH - because they wouldn't conflict with his study. Cummings always claimed that his was "an old fashioned" history of the subject. Its geographic specificity - Massachusetts Bay - did make Framed Houses into something akin to Norman Isham's studies of Rhode Island and Connecticut earliest buildings written much earlier in the 20th century. Taking over as Executive Director of the SPNEA in the difficult 1970s and 80s, he also helped form the American and New England Studies Program at Boston University. His interest in geographic specificity of early timber framing continued when Cummings was lured to Yale University as the Charles F. Montgomery Professor of American Decorative Arts (1984 – 1992). Both Connecticut and New Netherlands offered whole new areas with buildings he might ask the same questions but elicit different results. I vividly remember a wonderful symposium at Yale where John Demos conjured up a mythical Dutch Carpenter named "von Cummins" to help explicate all the Dutch influences on Connecticut framed buildings. Retiring from Yale to a home in South Deerfield, Massachusetts, with his sister's family, he spent his early retirement compiling the Descendants of John Comins (ca. 1668-1751) and his wife, Mary... (Boston: Newbury Street Press, 2001). His beloved grandmother had instilled a genealogical interest and Cummings served from 1970-73 as a Trustee of the New England Historic Genealogical Society, writing many articles in their magazines and a Council member after 2004. In early retirement he taught again for two years at Boston University and at the University of Massachusetts at Amherst from whom he received an honorary degree in 1998. 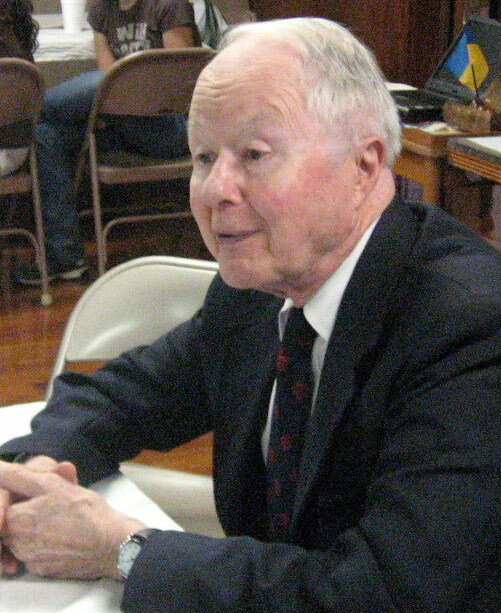 He was also recognized with the Henry Francis DuPont Award, and awarded honors for his scholarship by the Traditional Timber Frame Research Group, the Vernacular Architecture Forum, the Connecticut Trust for Historic Preservation, and the American Society of Genealogists American Society of Genealogists. He was a Life member of SPNEA, the Bostonian Society, the Fairbanks Family in America, and the Southington [CT] Historical Society, and a Massachusetts Historical Society Fellow, an Honorary Member of the Colonial Society of Massachusetts, and served on many boards and overseers committee including Plimoth Plantation, the Pocumtuck Valley Memorial Association, Historic Deerfield, and others. He remained a Life Member of the Ancient Monuments Society, an elected member of Society of Antiquaries of London, the American Antiquarian Society, the British Vernacular Architecture Group and founding president of the Vernacular Architecture Forum whose highest prize for scholarship remains their Abbott Lowell Cummings Award. Abbott is survived by his devoted nieces and nephews: Abigail Cummings of Arlington, VA, Carla Cummings of New York City, Jonathan Cummings, Jr. of Bethesda, Maryland, Justina Golden of Florence, MA and Scott Cummings of Austin, Texas. The Comins Family's "Master Genealogist"
While searching online for more of those seemingly never-ending links to our ancestors, I came upon a warm and perceptive article about our dear Abbott. Abbott L. Cummings was a very humble person... You'd hardly ever hear him say much about himself... He was much more interested in listening to the person, or persons, he was speaking with! - just click the star! This insightful piece was published by ANTIQUES And The Arts Online - "The nations leading source of information on antiques and the arts"
If you have any interest in Antiques and Art and just about everything relevant to this huge area, just follow the link below to visit their website!